A day after St. Mary's County Sheriff's investigators put out a felony warrant for 17-year-old Elijah Miles' arrest, they said he was reportedly seen near Great Mills High School, prompting a campus lockdown there. The teen was arrested hours later. WASHINGTON — A teenager wanted for his involvement in a shooting Tuesday was the reason behind a high school lockdown in Maryland this morning, investigators said. A day after St. Mary’s County Sheriff’s investigators put out a felony warrant for 17-year-old Elijah Miles’ arrest, they said he was reportedly seen near Great Mills High School, prompting a campus lockdown there. The teen was arrested hours later. There was never a threat to the school or anyone inside, said Corporal Julie Yingling with the St. Mary’s County Sheriff’s department. But investigators decided to put the school on lockdown out of an abundance of caution on the possibility Miles was armed. The school board chose to dismiss students of GMHS early. Miles was wanted for his alleged role in a shooting on Athlone Drive, three miles away from the school on Tuesday, Dec. 4. The victim, an adult man, is recovering in the hospital, Yingling said. 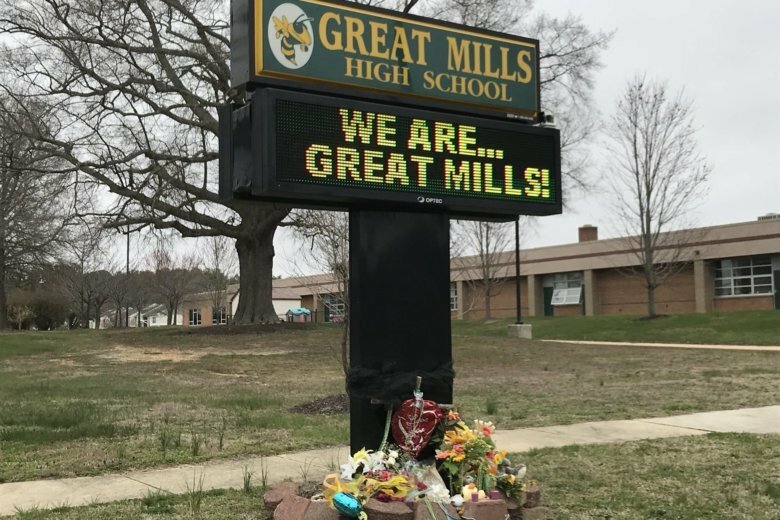 In March of this year, a 17-year-old student opened fire inside Great Mills High killing Jaelynn Willey, 16, and injuring two students before turning the gun on himself.